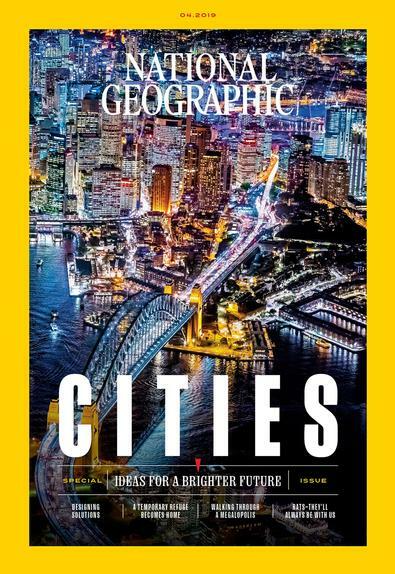 Subscribe to National Geographic magazine for 6 months & save 73% off! Unbelievable adventure, discovery and stunning photography are the hallmarks of National Geographic. Still as popular as ever since its first issue in 1888, it continues to bring you news of the weird and wild, curious phenomena, current events plus a plethora of topical articles and features about wildlife, geography, science, engineering, technology, the animal kingdom, history, cultures and populations around the world, climate and the environment and so much more – all accompanied with award-winning photography. A thoroughly insightful and engaging read, you’ll tour the universe, oceans, jungles and desserts, travel through time, trek deep into to the centre of the earth and journey to unexplored corners of the globe – all in one fascinating subscription. Explore the world’s wonders in National Geographic… known around the globe for its compelling articles, and dramatic photography that portray the beauty, mystery and harsh realities of life on earth. With membership to National Geographic, you will enjoy an issue every month, including beautifully detailed wall maps of biodiversity, human cultures, the universe and more. Absolutely love the National Georaphic. The photos are stunning, the articles cover a wide variety of subjects and are endlessly interesting and easy to read. I learn so much and am kept up to date on all the latest social,cultural and global issues. Have had National Geographic,in our family for as long as I know,(I&apos;m early 50&apos;s),and remember as a boy,reading an issue dated about 1964/65.Have never forgotten,the most interesting stories,which I found informative,(or)the photography,which had so much detail,and was at times breathtaking,and ignited an interest in photography myself.Will be forever thankfull,for the way it created an interest within,for the world around me. When I was a little girl, in the late 50s, I loved reading my aunt&apos;s NG magazines and have long considered myself an amateur photographer and recently bought myself your latest edition and loved it. So I&apos;ve now put in an order for a subscription for Christmas to share with my grandchildren. Thanks so much for the memories and general knowledge. For monthly titles please allow up to 10-13 weeks for your first delivery. Your subscription will begin with the next available issue.